If you feel better after a good kitty cuddle, there’s a good reason for it. 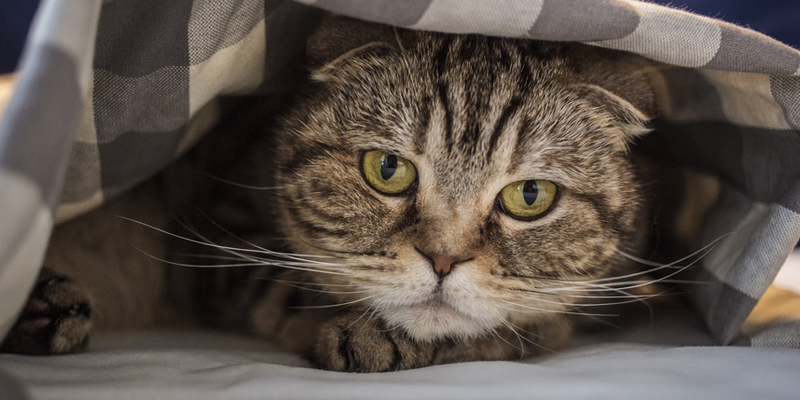 Turns out, cats are not only cute, they’re good for our mental and physical health, too. 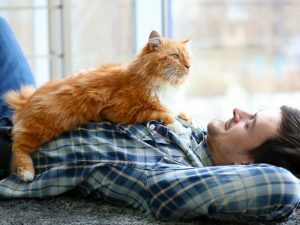 By snuggling or petting your favorite feline friend (or friends), the “bonding hormone” Oxytocin is released, promoting feelings of love and trust. And these feelings naturally help reduce anxiety. 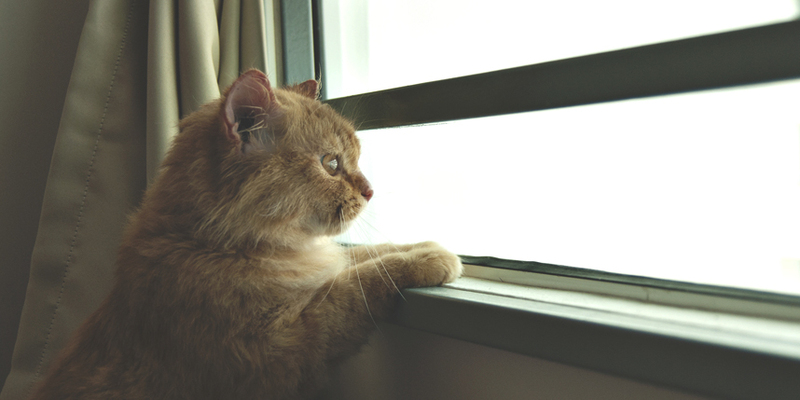 Even just talking to or looking at your cat has been proven to keep blood pressure steady in nerve-wracking situations. In fact, studies have shown that sharing your life with a cat cuts your risk of a heart attack or stroke by nearly a third! The likely reason for this, scientists say, is that cat ownership lowers stress and anxiety. Since I’m lucky enough to have not one, but two cats, I know firsthand how these furry little stress-relievers help us humans get through big life events and everyday annoyances. 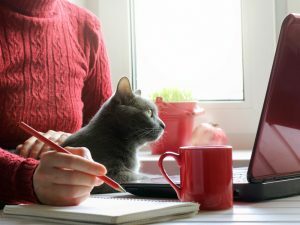 Making your cat part of your morning routine is a great way to set the tone for your entire day. For me, mornings are coffee + cat time. My Tortie, Turdie, keeps me company as I prepare for the day ahead. By giving her lots of love and getting lots of purrs in return, I’m able to start the day on a more mellow note. Have you ever had to give a big presentation, ask your boss for a raise or talk to someone about a difficult topic? I sure have and boy, is it stressful! Luckily, my cats are always there for me in these situations. I find that it’s helpful to use them as a sounding board when I’m rehearsing that speech or talking through what I’m going to say ahead of time. They’re always very supportive and non-judgmental! All of us, at one point or another, have to deal with difficult life changes such as divorce, death of a loved one or loss of a job. 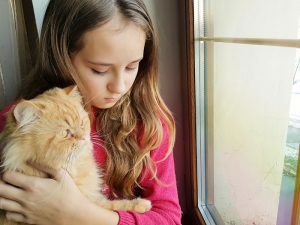 But with a cat by your side, you have a constant companion who will be there for you no matter what, who’s a good listener and who can make you feel less alone during hard times. When I have to spend a long day at work or time traveling for my job, there’s nothing better than returning home to my kitties. They’re always happy to see me and greet me with head bonks and cheek rubs. I can’t think of anything better to melt the stress away. Because sleep and mood are so closely related, a lack of sleep can result in irritability and depression. 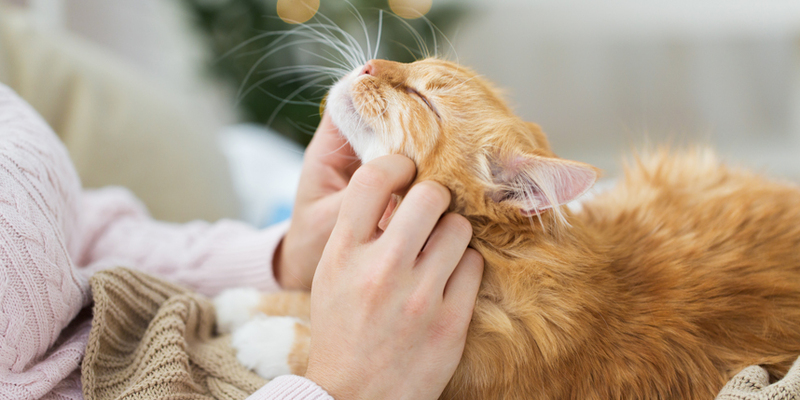 Spending time with your cat before bed may relax you and improve your sense of well-being, helping you get a better night’s rest. It works for me! Before bed, I spend time reading with my cat Olivia at my side. I find our quiet bonding time together and her rhythmic purr helps me unwind and fall asleep. Better than counting sheep! 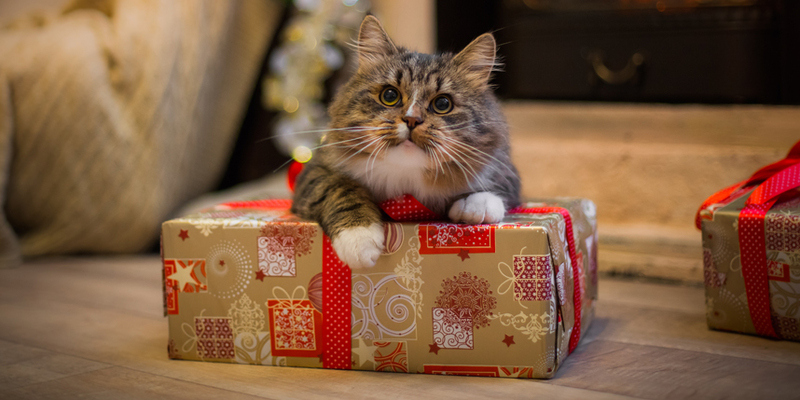 Get tips and advice on how to achieve a cat-proof Christmas tree and help prevent cat stress, so both you and your feline can enjoy the festive season!